Alocasia is the name of a large family of tropical herbaceous perennial plants that are grown primarily for their dramatic foliage. Commonly called elephant's ear, alocasia colorations, leaf patterns and overall plant size vary greatly by cultivar; but they all thrive in partial shade conditions outdoors and bright indirect light indoors. All elephant's ear plants are grown from and reproduce with underground rhizomes. Plant alocasia in outdoor locations where they will receive filtered shade and grow indoors in a location where they will receive bright indirect light. Choose a planting site that will easily accommodate your variety of alocasia at maturity as they do not respond well to being moved after they have established themselves in a location. Keep the soil rich in nutrients by mulching with one or more organic materials such as compost, leaf mold, shredded bark or cocoa hulls. Mulching will also help prevent moisture lost to evaporation. Water your alocasia regularly so that the soil around the rhizome is always moist. Do not allow the soil to ever dry out. Judge when it is time to water by dipping your fingertip an inch into the soil. If it feels just barely moist it is time to water. If you are growing alocasia in a container of any kind, make sure that you have plenty of drainage holes so that the soil does not become saturated. Excess water can rot the rhizome. Feed alocasia once a month with a general purpose water soluble houseplant fertilizer such as Miracle-Gro. Apply the formula onto wet soil at half the recommended dose. Alocasias are not heavy feeders and the rhizomes can be damaged by a build-up of fertilizer mineral salts. Prune away any damaged, diseased or dying stems and leaves when you see them by cutting the stem down to the plant base with clean, sharp secateurs. Other than removing damaged stems and pruning to control size, alocasias do not require pruning to spur growth. 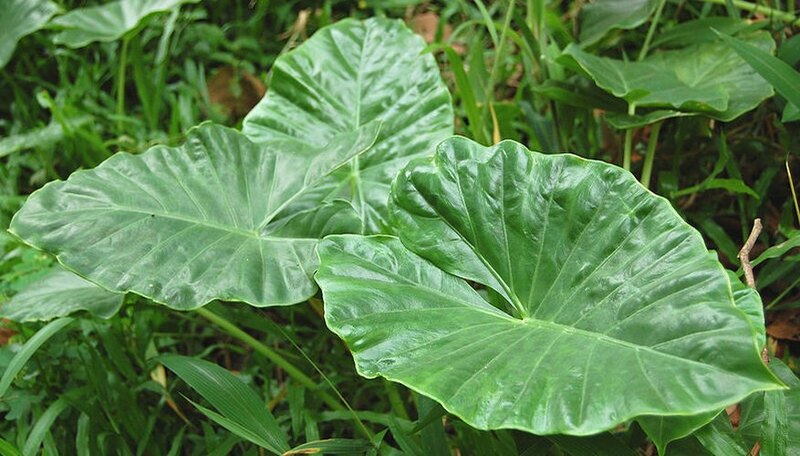 All parts of Alocasia are poisonous and can be fatal if ingested. Initial symptoms may present as paralysis of mouth and throat after eating and difficulty speaking, nausea, diarrhea, delirium. Alocasia can also cause severe skin irritations, so wear gloves when handling the plant.